Hill attended Detroit (MI) Crockett as a part of the class of 2013. 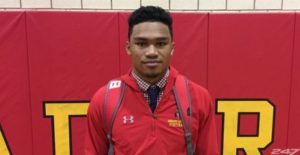 He only reported offers from Central Michigan and Michigan, and naturally he signed with the Wolverines after committing in February of 2012 (LINK). 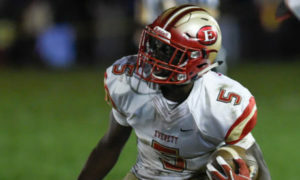 He was a 247 Composite 3-star, the #25 tight end, #13 in the state of Michigan, and #670 overall. I gave him a TTB Rating of 60 (LINK). 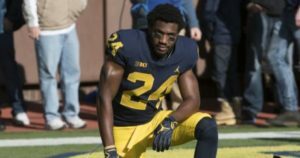 Hit the jump for a recap of Hill’s Michigan career. Kugler attended Wexford (PA) North Allegheny when his dad, Sean, was the offensive line coach for the Pittsburgh Steelers. 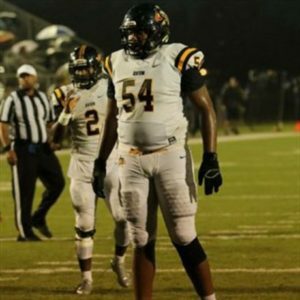 Patrick was a 247 Composite 4-star, the #1 center, and #68 overall in the 2013 class. 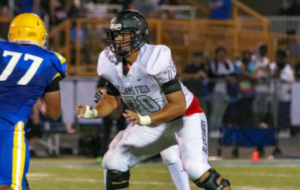 Florida, Florida State, Miami, Notre Dame, Penn State, Pitt, Stanford, and others all offered, including Purdue, where his brother played offensive line, as well. 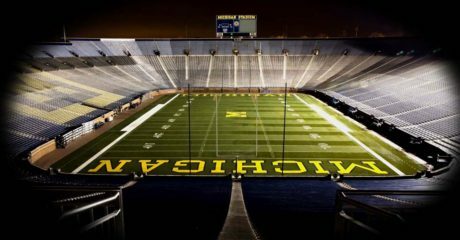 Kugler committed to Michigan in late February of 2012 (LINK), almost a year before National Signing Day. While film was lacking early in his career, I ended up giving a TTB Rating of 86 at the end of the cycle (LINK). Kugler redshirted in 2013 and only played in one game in 2014, the opener against Appalachian State. 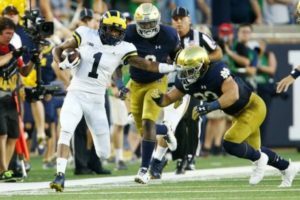 As a redshirt sophomore in 2015, he played in three games as a backup. Kugler made one start at left guard in 2016 when Ben Braden was injured, and he played in four more games as a backup throughout the season. As a fifth year senior in 2017, Kugler started all thirteen games at center, earning Honorable Mention All-Big Ten from the media. 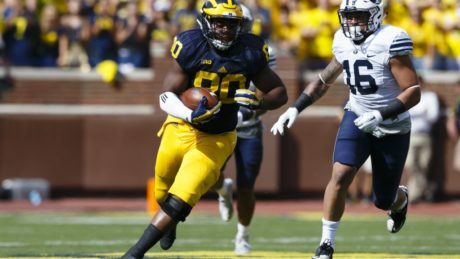 Even though Kugler was a tackle in high school, Michigan fans – and national evaluators – had high expectations for him. He was the projected #1 player at the center position, and he was a top-100 guy overall. 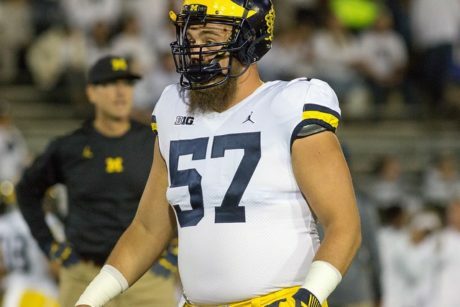 With his father being an NFL offensive line coach, it was assumed he would be a relatively early contributor, particularly because the underwhelming Jack Miller was ahead of him when he arrived. 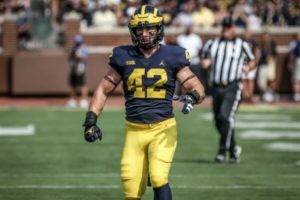 A shoulder injury hampered Kugler for his first couple seasons on campus, and he even admitted in an interview last year that he did not take football seriously enough early in his career. 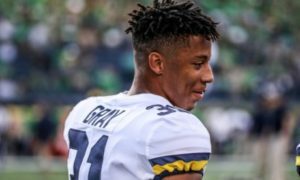 Whether that was a reference to rehab, film study, the weight room, practice habits, or some combination of those things is unclear, but it’s not an understatement to say that his first four years on campus were disappointing. It shouldn’t take a guy with his size and pedigree five years to become a reliable contributor, but it did. Guys who played ahead of him included Jack Miller, Graham Glasgow, and Mason Cole, who converted from left tackle to keep Kugler on the bench in 2016. Kugler actually did a solid job of blocking in 2017, but there were communication issues on the offensive line, particularly with the right side. Whether that was an issue with Kugler’s calls or just with the guys on the right side, we’ll never know for sure. Considering the coaching staff is bringing him back as a graduate assistant in 2018, I have to believe the staff was confident in his understanding of the game. 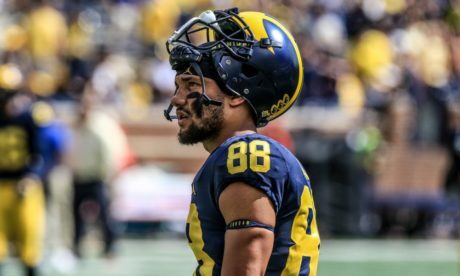 As I mentioned above, Michigan is planning for Kugler to return in 2018 as a graduate assistant. 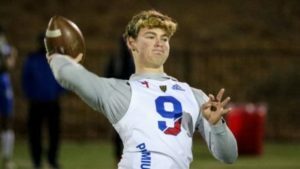 He appears to be following in his dad’s footsteps as a coach, and he won’t be pursuing a career as an NFL player. This is probably a prudent move, since he would not be drafted and I don’t believe he would stick with an NFL team. 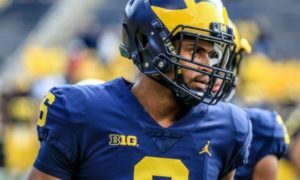 Hurst is the son of former NFL cornerback Maurice Hurst. 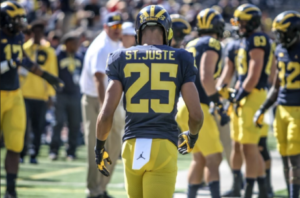 The younger Hurst attended Westwood (MA) Xaverian Brothers, where he was a 247 Composite 4-star, the #21 defensive tackle, and #266 overall in the 2013 class. 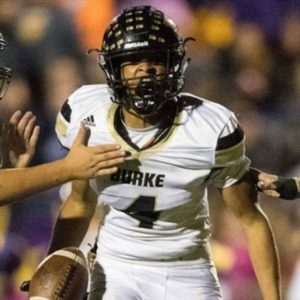 He was recruited to Michigan by Curt Mallory, while also fielding offers from Boston College, Nebraska, North Carolina, North Carolina State, and Ohio State, among others. He played a good deal of fullback in high school, too. 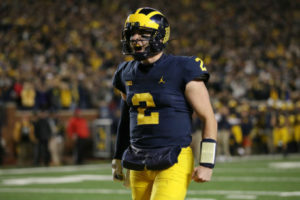 Hurst committed to Michigan in June of 2012, and his only official visit was to Ann Arbor. 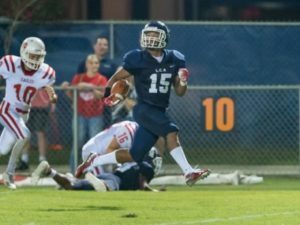 He played in the Semper Fidelis All-American Bowl. 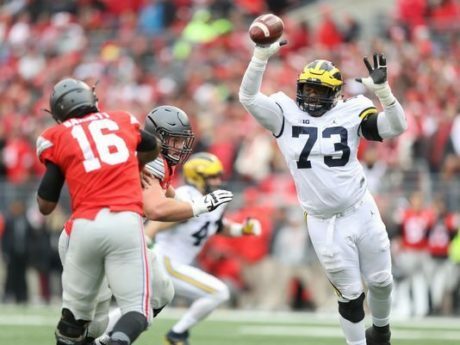 I initially gave Hurst a TTB Rating of 73 (LINK) and questioned whether he would get bulky and technical enough to play nose tackle at the next level, but I bumped him to a 78 after National Signing Day (LINK). Hit the jump for the rest of Hurst’s senior profile. Thank you very much to Keith for the generous Paypal donation to help with hosting! Cole attended Tarpon Springs (FL) East Lake and was a part of the 2014 class. 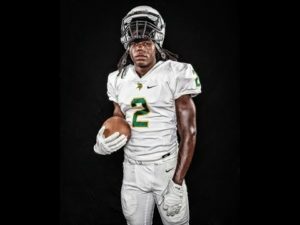 Originally, it looked like he would bring teammate George Campbell with him in the 2015 class, but Campbell eventually decommitted in favor of Florida State. You can check out the scouting report I put together on Cole prior to his commitment (LINK). I gave him an 87 as a Final TTB Rating (LINK). There’s really not much to be said here. 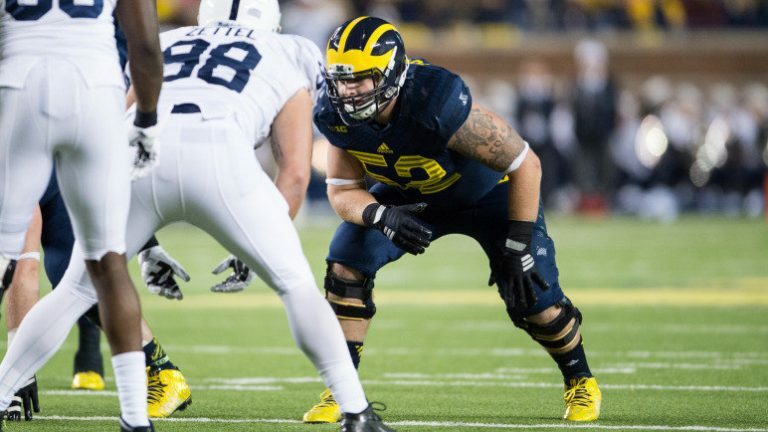 Cole started every game at left tackle for his first two years on campus (2014, 2015), and then he moved to center for 2016, when he started every game at center in the wake of Graham Glasgow’s departure. With Patrick Kugler available to play center in 2017, Cole moved back to left tackle and started every game there this past season. Overall, he started 51 games out of 51 possible games throughout his career, with 38 starts at left tackle and 13 at center. At the risk of being chastised for tooting my own horn, the scouting report linked above was pretty spot-on. I said that Cole had the agility to play left tackle, but he could play tackle, guard, or even center. While he never played guard in college, he spent most of his career at left tackle. 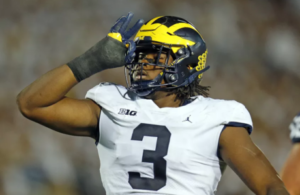 He measured in at the Senior Bowl with short arms for a tackle, and his lack of length and bulk gave him some issues with being an effective drive blocker at Michigan. He could latch on to a guy and move his feet, but he couldn’t collapse down a whole side of the defensive line. During his one year at center in 2016, he didn’t have a lot of busted assignments but struggled to get a ton of movement. He was a solid offensive lineman, but it’s not a fluke that he topped out at 2nd team all-conference.
. . . doing whatever the team needed from him, and doing it well. You need a starter at left tackle during my true freshman year? Done. You need me to move from tackle all the way to center? Done. You’ve got a center you trust and a void at left tackle? I’m on it. The NFL is looking at Cole as an interior lineman, most likely a center. 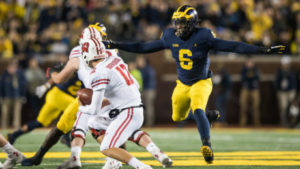 The aforementioned short arms will preclude him from playing tackle, and he’s probably not an ideal drive blocker to play the guard position. 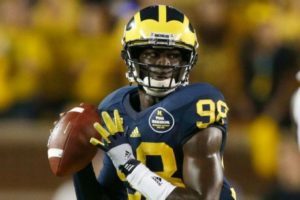 When NFL coaches had a chance to slot him in somewhere, they made him play center at the Senior Bowl, even though he hadn’t played the position in a game since 2016. 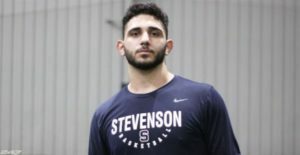 Centers aren’t viewed as being extremely valuable in the NFL Draft, so I think we will probably see Cole drafted somewhere around the 4th round.